News and discussions about Indian Air Force, Bharatiya Vayu Sena. let us have one thread for tri services NEWS for now as the volume is likely to be quite small I think on mil matters. discussions on specific topies like hypersonics, submarines or ELINT can ofcourse have their own threads as per posters desire. Indian Air Force to conduct highway landings of frontline jets, including Su-30MKI, Mirage 2000 and Jaguar on Oct 24 near Agra. Indian Air Force displays its might by landing/touching down 20 planes including Super Hercules C130J transport aircraft, Jaguar Deep Penetration jets, Mirage 2000 multirole jets and Su-30 MKI highly maneuverable multirole jets at Bangar Mau on Agra-Lucknow expressway. landing a number of fighter jets as well as a Super Hercules C130 transport plane on the Lucknow-Agra Expressway as part of a special drill to test operational capabilities in case of emergencies such as disaster relief, humanitarian assistance, as well as in situations of war or conflict. A C130 plane with Garud commandos was the first to land, followed by touchdowns and low flybys by several Mirage and Sukhoi fighter jets. The other IAF fighter jets scheduled to touchdown are the Jaguars. Last year Mirage and Sukhoi had touched down at same spot during inaugral ceremony. At a meeting of the Parliamentary Consultative Committee on Defence on 27 October 2017, senior officers of the Indian Air Force, including Vice Chief of the Air Staff, Air Marshal S.B. Deo, were reportedly rebuked by Defence Minister Nirmala Sitharaman for “inappropriate responses” to the issue of declining squadron strength. It has been reported that the Indian Air Force (IAF) rehashed long standing issues of depleting combat strength without offering any solutions. Besides being somewhat tiresome for the aforementioned Committee – having undoubtedly heard the same refrain for some time – the lack of solutions being offered is somewhat surprising considering that a number of steps are currently being taken to address declining force levels. What is perhaps more serious is that some of these steps are being pursued in a half-hearted manner, which is not attributable to lack of budgetary support. Within two months in office India's new Defence Minister Nirmala Sitharaman is planning a new fighter aircraft base for the IAF. The likely location for the base in Gujarat is sufficiently close to neighbour Pakistan to allow an efficient and effective response. The facility at Deesa, which is located in Banaskantha district, is near the border and is expected to bridge the aerial gaps in the state that already has major fighter bases in Jamnagar in Saurashtra region as well as Bhuj and Naliya in Kutch. 'Due to the new defence minister's push, the plan is now moving fast towards reality,' senior sources in the Air Force told Mail Today. The officials said the plan to develop the base was discussed with Sitharaman during one of her first visits to Jamnagar after she took charge of the ministry in September. In the last few weeks, the proposal has moved swiftly and is expected to reach the Cabinet Committee on Security headed by the Prime Minister in the near future, the sources said. The development comes less than a month after Air Chief BS Dhanoa declared that the IAF is prepared to fight a 'short and swift war' at a short notice and that the force has the capability of striking across the border if the government decides. Sources said the new team in the defence ministry follows up all the long-pending proposals and suggestions that are brought to their notice during field visits. The project to set up the base in Deesa, which has a civilian airfield, has been held back for a long time due to 'procedural issues' and has been discussed many times at the ministry-level in the past. The need for creating a stronger presence of forces has been felt in view of the increasing economic activities on the Gujarat coastline including petroleum refineries and new ports being built. This airbase would address the huge distance between the Barmer Air Force Station in Rajasthan and air force stations in Gujarat. Officials say the facility would give the Air Force the capability to launch counter air campaign, counter surface force campaign and strategic air campaign in case of a war with Pakistan. The IAF also has plans of using the airbase as a training centre for its rookie pilots and for operating its remotely piloted vehicles. A somewhat curious report emanating from the Indian Air Force, purportedly in response to a request from the Government of India to reconsider its plans to procure a new type of single-engine fighter (SEF) under the “Make in India” initiative with the Tejas Light Combat Aircraft has sparked understandable and justifiable furore. While justifying the need for a new SEF, the report allegedly spoke in highly derogatory terms of the Tejas, even suggesting the MiG-21 was better in some respects. The Tejas Mk.1 in its FOC configuration will therefore be an adequate fighter (certainly not “unfit for Indian skies” as one journalist termed it). Yet it would not be without shortcomings and these are proposed to be addressed in the Mk.1A variant which has the potential deploy an avionics and weapons package significantly superior to the Mk.1. However, once again, delays in avionics selection and testing are the bane of this program to the detriment of both the IAF and the ADA/HAL. However, one has to ask why the comparison of the Tejas Mk.1 with the Gripen C/ E or the F-16 Block 70? 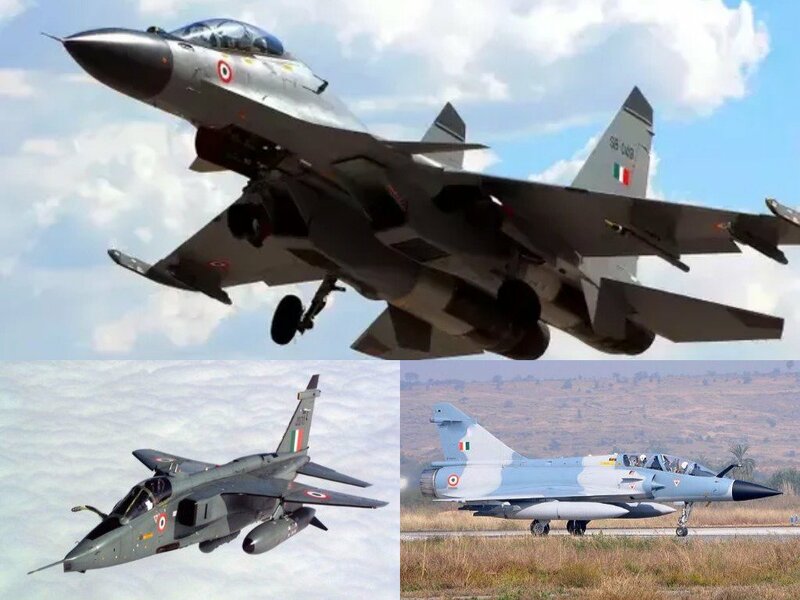 The Tejas is still at an early stage of its evolution – compare it with those aircraft at a similar stage of theirs and you will see aircraft that were without BVR capability and far more maintenance intensive that their later, more capable iterations. The IAF has done itself no favours with its less than honest comparison. The development and evolution of an aircraft takes the involvement of the user as a partner. To date, one senses the IAF to be a somewhat reluctant partner in the development of the Tejas. By comparison, the IAF had no problems inducting the MiG-21F when equipped with only 2 AAMs, no gun and an extraordinarily limited range and thereafter investing in its evolution. It had no issue with inducting the Mirage 2000 when the latter’s Super 530D missiles and Belouga submunition ordnance were not yet ready and it practically created the Sukhoi Su-30MKI from the modest Su-30K, which was not much more than a two-seat Su-27. So why not facilitate the evolution of the Tejas with a similar spirit of partnership and encouragement? This is a concise snapshot of why the Indian armed forces will not buy Indian products. At the risk of being banned, I would reiterate that the Dy Chief of Air Staff demonstrates why an Imported Air Force is preferable for the current crop of leadership. Despite having family that served or serves in two arms, simple unbiased logic shows the forces do not consider this as part of their national duty. ^^^Until India has it's own vast MiC, it will not become a major world power. At some point the MoD and MoF must tell the senior command leadership to accept domestic platforms in large numbers or resign their commission. Really? The chincomms will go home after IAF completes its "short and swift war"? It's like the school bully will stop beating me as soon as I declare I am done with my "short and swift fist fight". That's coming from a COAS. What an a$$h0l3. But then one of this predecessor is already accused of bribery. Nothing surprising with this quality of leadership. ^^ I think the more immediate problem is the fact that there won’t be any planes to station at the new airbase. Following Hindustan Aeronautics Limited’s (HAL’s) repeated non-compliance in terms of fulfilling requirements in the Tejas aircraft deal, the Indian Air Force (IAF) has decided to take up the matter with the Defence Ministry, reports ANI. In December 2017, the IAF had issued a single vendor tender to HAL, and the latter sent back its first commercial and technical response to it in March 2018. As per the report, there were three major shortcomings in HAL’s response. The HAL's offer on price and other aspects was valid only for 12 months, however, the procurement procedure required it to be minimum 18 months. The delivery time offered by the HAL was thus not deemed acceptable. As per IAF officials quoted in the report, it was also found that the aircraft range and the endurance levels were not in compliance with the requirements. Endurance level pertains to the amount of time an aircraft can be in the air. The IAF officials thus told HAL to rectify the issues in the proposal and send a revised response. But non-compliance was also noted in HAL’s subsequent responses which were received in the last 15 days. “The delivery schedule now proposed by HAL remains a non-compliance, for which the IAF is approaching Defence Acquisition Council,” IAF said. Under the new responses, HAL complied with the ferry range but failed to solve the delivery schedule matter following which IAF has now reportedly decided to approach the Defence Acquisition Council. The program is already said to have been delayed by over a year despite getting the Defence Acquisition Council (DAC) nod in 2016. The Air Force had already placed an order for 40 LCA jets and had issued tenders to the HAL for another 83 Mark 1A LCAs to replace its old fleet of MiG-27 and MiG 21 aircraft but has had to postpone their retirement given the delays in the LCA and other fighter aircraft procurement projects. Chief of Air Staff Air Chief Marshal B S Dhanoa on Thursday (31 January 2019) slammed the repeated delays and problems in the domestic manufacture of military aircraft by Hindustan Aeronautics Limited (HAL), while reiterating the Indian Air Force’s (IAF) commitment to increasing indigenisation, reports The Hindu. “IAF has not shifted any goal posts as alleged. The development has taken such an incredibly long time that armament and technology has gone obsolete… I as the service chief can make concessions to Hindustan Aeronautics Limited (HAL). Will the enemy make concessions to me when I go and meet the enemy?” stated Dhanoa at the 10th Jumbo Majumdar international lecture. Dhanoa’s remarks come in the wake of recent reports claiming that the IAF had contributed to production delays by changing the parameters for new units of Light Combat Aircraft (LCA) Tejas. The air force is currently awaiting delivery of 40 LCA Mk-I fighters and has issued a Request For Proposal (RFP) for 83 LCA Mk-IA variants. It wants to eventually induct 12 squadrons of LCA Mk-II. He also noted that there needs to be a mix of high, medium and low technology to develop air power properly. He explained that fighters like the Rafale combined with the S-400 defence system would be able to shape air battles, enabling other aircraft to carry on their functions. ^^^Until India has it's own vast MiC, it will not become a major world power. I agree that one can debate about it only once it is is set properly. Even for regional power projection (defence actually to begin with, of our allies also such as Bhutan) there are conspiracies galore about 2-front war. Then there is usual issues of how much can be exported without stretching our own reserves at all, indirectly are we ready to spend for scenario that it's sufficient for self defence and overlooking 'loss'/non-realization of perceived profits.